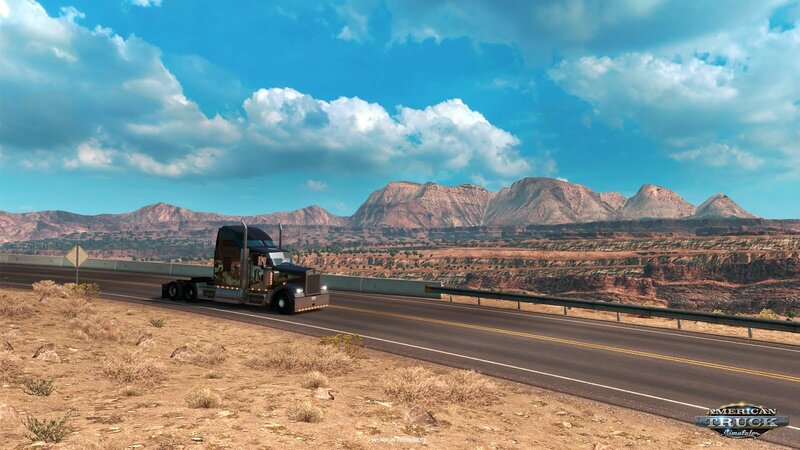 The Open Beta of Update 1.3 for American Truck Simulator is available on Steam. 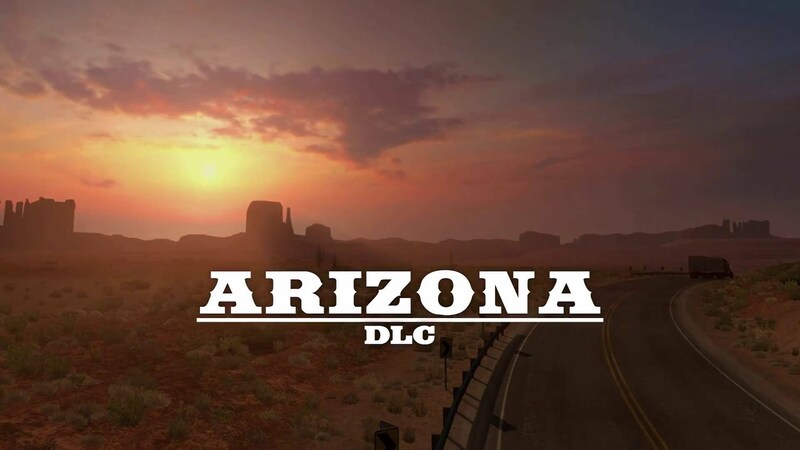 the testing version contains the much anticipated Arizona DLC! Phoenix, and visit the distinctive southern centers Flagstaff and Tucson. Discover a section of the famous Route 66 with its key landmarks. Cross the Colorado river over unique bridges and explore many wonderful vistas and famous landmarks within this region. The Arizona State is not the only new feature of 1.3 update of course. Take World of Trucks Contracts directly from the game, now with ATS support. Physically simulated truck and trailer coupling. Blinker auto off can be disabled (option). Speeding highlight can be disabled (option). Torque converter simulation greatly improved. Added UI support for 4th and 5th controller. Gear shift selectors (range, split) now have UI support for position-based switches. New accessories added to 579 a T680 (bullbars, deflectors, sideflares, etc). Default air horn added to all trucks (attribute air_horn in sound accessory). New engine sound of W900 (air intake). Interior sounds of all trucks rebalanced. Damage params moved out from game_data.sii and some more added (including wear and part damage factors). Data driven engines (torque curve, rpm limits). Force feedback data for XInput added (force_feedback.sii). Torque converter physics data added, separated manual clutch data (physics.sii). You can find the beta in the public_beta branch on Steam. 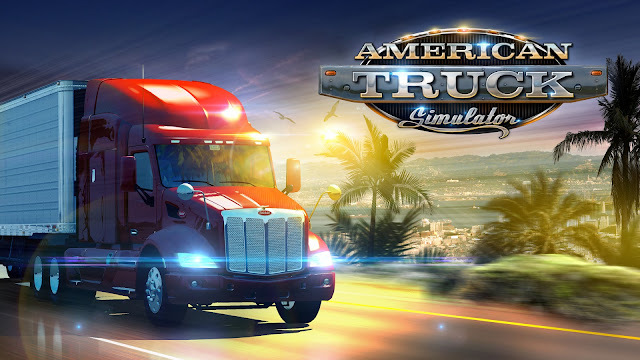 (Steam client → LIBRARY → right click on American Truck Simulator → Properties → Betas tab → public_beta - 1.3 public beta). A word of caution: make sure to back-up your profile and save game data before experimenting with beta builds! it's perfectly ok for you to wait and stay away from it until it's stable and final. If you are curious though and want to assist us in polishing it, we greatly appreciate your help. Please report any bugs on our forum. We added another portion of Highway 101, which leads from San Rafael to Eureka. Highways surroundings is composed by typical redwood forest. We have also added new city of Ukiah hosting supermarket and farm depot. that is compatible with latest game updates. More details here. 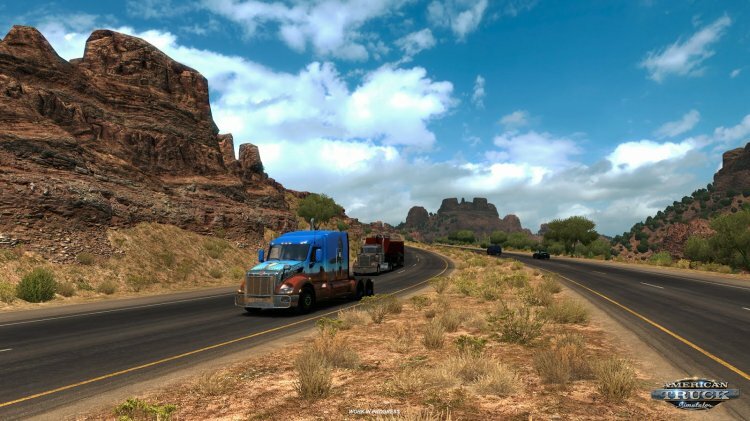 Arizona map DLC expansion for ATS released!